The prolific poker legend Doyle Brunson (aka “Texas Dolly”) was born on August 10 in 1933. The American poker star and Poker Hall of Famer has published multiple books on poker throughout his 50-year career. In addition to winning the WPT, he’s won the Main Event at the WSOP twice, in 1976 and 1977, making him one of only four players to have won this prestigious event more than once. His incredible list of accolades includes 15 WSOP bracelets and multiple poker records. For instance, he is the first person on record to win $1 million playing poker tournaments. Although he once famously quipped, “You don’t stop playing because you get old, you get old because you stop playing,” Brunson announced his retirement on June 11, 2018. As a child in rural Texas only a few decades into the twentieth century, Doyle Brunson grew up dirt poor. Luckily, he was a naturally gifted athlete who got both basketball and track scholarships to attend Hardin-Simmons University in Abilene, Texas, where he earned a bachelor’s degree in 1954 and a master’s degree in administrative education in 1955. Initially drafted by the NBA’s Minneapolis Lakers when he finished school, his basketball career never got off the ground after he shattered his leg in a work accident prior to the beginning of his first season. To this day, it’s easy to spot Brunson’s place at a poker table by the crutch he’s used since this accident. While his leg may never have healed properly, the injury was also a turning point in Brunson’s poker career. Although he’d played five-card draw before the accident, he started playing a lot more afterward, and his winnings from those games helped him pay his medical expenses. As his skill became more notable, Brunson joined and eventually led the Texas Rounders, a group of poker outlaws who, according to a History Channel documentary, “cleaned Texas dry” in the 1950s and 60s. For a while, they outran both the law and the hijackers who preferred to rob big-money winners of illegal card games, but they eventually broke up after losing their shared six-figure bankroll in Las Vegas. Nevertheless, that proved to be yet another beginning for Brunson, who stayed in Vegas and continued to hone his craft. An early tourist attraction in his own right, Brunson was often surrounded by audiences would gather around him to watch in awe as he played. When the World Series of Poker began in 1970, Brunson was one of the first players to join the Main Event, which he’s played almost every year since its inception. When Brunson won his first WSOP Main Event in 1976, he faced off against Jesse Alto, a car dealer, and came out on top thanks to one of the luckiest boards ever. It all started when Alto bet out with A-J and Brunson called with 10-2 suited. The flop, A-J-10, gave Alto 2 pair, but even though Brunson had the weaker hand, he went all-in. Naturally, Alto called, but Brunson caught runner-runner 2s on the turn and river, giving him a full house and handing Alto one of the worst beats in Main Event history. Brunson is so famous that a WPT event has been named after him. The Main Event of the Five Diamond World Poker Classic at the Bellagio (one of Brunson’s favorite places to play the biggest cash games available) is called the Doyle Brunson North American Championship. March, 5th place at the $ 20,000 No Limit Hold’em NBC National Heads-Up Championship 2010, Las Vegas for $75,000. June, 4th place at the $ 20,000 Week 11 – Magnificent Six , Poker After Dark V, Las Vegas. June, 2nd place at the $ 20,000 Week 2 – Nets vs Vets, Poker After Dark IV, Las Vegas. February, 5th place at the $ 20,000 Week 5 – “Cowboys” Poker After Dark III, Las Vegas. January, 3rd place at the $ 20,000 Week 2 – “19th Hole”, Poker After Dark III, Las Vegas. June, 1st and 3rd place in two events of Poker After Dark II, Las Vegas. January, 3 cashes, 4th, 5th, and 6th place in Poker After Dark, Las Vegas. December, 3rd place at the $ 15,000 + 300 Main Event – No Limit Hold’em, Fourth Annual Five Diamond World Poker Classic, Las Vegas, for $563,485. April, 3rd place at the PPT No Limit Hold’em Final, Third Annual Five-Star World Poker Classic, Las Vegas for $60,000. October, 2nd place at the $ 1,500 + 70 No Limit Hold’em Final Day, 2004 Festa al Lago III Poker Tournament, Las Vegas, for $ 62,994. 2004 Legends of Poker, Los Angeles, for $ 1,198,260. January, 4th place at the $ 2,000 + 80 No Limit Texas Hold’em, The Third Annual Jack Binion World Poker Open, Tunica, for $16,180. July, 4th place at the Tournament of Champions, Mixed Games, Las Vegas, for $42,909. December, 1st place at the $ 5,000 Chinese Poker – World Championship, Hall of Fame Poker Classic 1994, Las Vegas, for $40,000. September, 1st place at the $ 2,500 + 60 No Limit Hold’em Queens Poker Classic Summer Edition, Las Vegas, for $128,000. January, 3rd place at the $ 5,000 + 80 No Limit Hold’em – Championship Event, Queens Poker Classic III, Las Vegas, for $ 50,400. January, 1st place at the $ 1,500 Pot Limit Omaha event, and 3rd place at the $ 10,000 No Limit Hold’em of the America’s Cup Of Poker 1987, Las Vegas for a total of $ 55,000. February, 1st place at the Deuce-to-Seven Lowball, Amarillo Slim’s Superbowl Of Poker, Las Vegas, for $ 43,500. December, 1st place at the $ 10,000 No Limit 2-7 Lowball, Annual Jack Straus World Match Play Championships, Las Vegas, for $ 57,500. February, 2nd place at the $ 10,000 Deuce to Seven Lowball, Amarillo Slim’s Superbowl Of Poker, Las Vegas, for $ 27,000. February, 2nd place at the $ 1,000 Ace to five Lowball, Amarillo Slim’s Superbowl Of Poker, Las Vegas, for $ 13,500. Brunson has spent decades playing in the biggest poker games worldwide, such as the $4,000/$8,000 limit mixed game in the Bellagio’s Bobby’s Room, where he was a regular for years. Known as the founder of Microsoft and one of the richest people in the world, Bill Gates is perhaps less known for playing the smaller tables at the Bellagio. On one trip, when he saw Brunson playing at the higher tables, he asked the floorman if he could get his copy of SuperSystem signed for “Bill Gates.” Brunson agreed to sign his book if Gates would join him at the table. Gates politely declined the offer, so Brunson politely declined to sign his book. When he first opened his own online poker site, Brunson would play $5-$10 no-limit hold’em games there in order to entice new players. Brunson announced the opening of his own online poker site, Doyle’s Room, in the Black Friday aftermath in 2004. He remained the face of the room from 2004 to 2011. The poker industry’s leading representation agency, Poker Royalty, signed Brunson for worldwide management and marketing representation across all major platforms, including media, sponsorship, licensing, commercial endorsements, and appearances in 2009. Brunson’s wife, Louise Brunson, grew up in Florida and met Doyle in San Angelo, where she was working in a pharmacy after getting her degree to be a lab technician from the University of Georgia. They met at a country music dance in 1959, and Louise misunderstood Brunson’s explanation of his job—“bookmaker”—to be “bookkeeper.” It took Doyle a few years to convince Louise that marrying a professional gambler would be okay, but he eventually succeeded in courting her, and the happy couple married in August 1962. The early years of the Brunson’s family life were trying. Three months after Louise got pregnant, a tumor was found in Doyle’s neck. After removing it, the doctors discovered that the cancer had spread. They recommended a surgery that they thought could prolong his life enough for him to see the birth of his daughter, but the cancer miraculously disappeared after the operation. A short time later, Louise was also diagnosed with a tumor, but when she went in for surgery, the doctors could find no trace of it. When the couples’ daughter, Doyla, was diagnosed with scoliosis in 1975, her spine naturally connected itself after a few months. However, they lost Doyla to a heart-valve condition in 1982, when she was only 18. Born in 1964, Brunson’s daughter, Pamela, earned a bachelor’s degree in sociology from the University of Texas at San Antonio and applied her desire to help people by working in retirement communities. Her driven nature eventually led her to become a leading executive director at some of the country’s most prestigious retirement communities. However, although it was not considered acceptable for women at the time, she also always enjoyed playing poker. After a successful career as an executive director, Pamela moved back to Las Vegas, where she initially began playing online at Doyle’s Room. After a lot of online success, she moved on to playing in live tournaments. In both the 2007 and 2009 World Series of Poker Main Events, she made it further than Doyle and her brother, Todd. 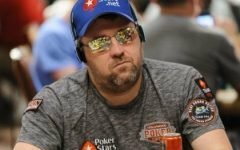 Todd Brunson, Doyle’s son, is also a professional poker player. Born in 1969, Todd studied law at Texas Tech University before dropping out to turn pro. His current net worth is approximately $4,419,575, and his biggest win was a bracelet in the Omaha Hi-Lo at the 2005 WSOP, which meant that Doyle and his son were the first father-son combo to each win WSOP bracelets. 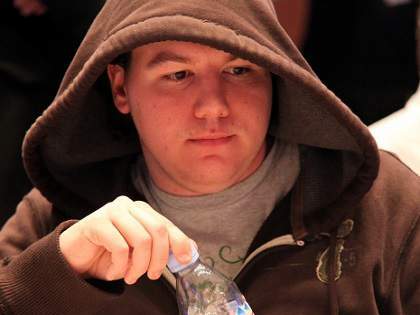 In addition to a plethora of books on poker, Brunson blogs and has his own syndicated column for the London Telegraph. His list of published books is impressive. Super/System has sold over 300,000 copies worldwide, but he has many other bestsellers as well, including Super/System 2, Poker Wisdom of a Champion, According to Doyle, My 50 Most Memorable Hands, How I Made Over $1,000,000 Playing Poker, and Online Poker. 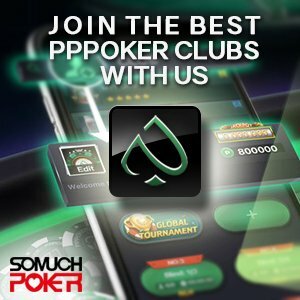 The online poker room Doyle’s Room was established on the Tribeca Poker Network (now part of the Playtech iPoker network) in 2004. In 2007, it moved to the Microgaming Poker Network (Prima) and in 2009 to the Cake Poker Network. Doyle’s Room eventually landed on the Yatahay Network in 2011, but it was seized on May 26 of that year due to an investigation into online gambling law violations. Brunson officially cut ties with Doyle’s Room after April 15, 2001, and in October, America’s Cardroom acquired it. According to one of Brunson’s tweets, he was once offered $230 million for Doyle’s Room, but he turned it down at the time. Doyle starred in the 2006 documentary, No Limit: A Search for the American Dream on the Poker Tournament Trail and played a small role in the 2007 film Lucky You. Doyle and his son, Todd, produced the Brunson Poker training course, which was released in 2018. The course costs $149 and includes a book, audio CD, charts, flash cards, and access to a training website. At one time Doyle Brunson was #1 on the All-Time Money List. Now he’s #156, and according to HendonMob, his net worth is approximately $6,176,737. Doyle is an avid gun collector and sports fan. Currently, his favorite form of poker is 2-7. Doyle and Louise have maintained a residence in Las Vegas since they first moved there, but they have a second home in Montana, where they enjoy spending time with family, boating, and taking in the great outdoors. Brunson enjoys all social media, but he’s especially active on Twitter, where he says he “enjoys the banter”. His reaction gif posts are quite famous. Doyle Brunson steps away from tournament poker?